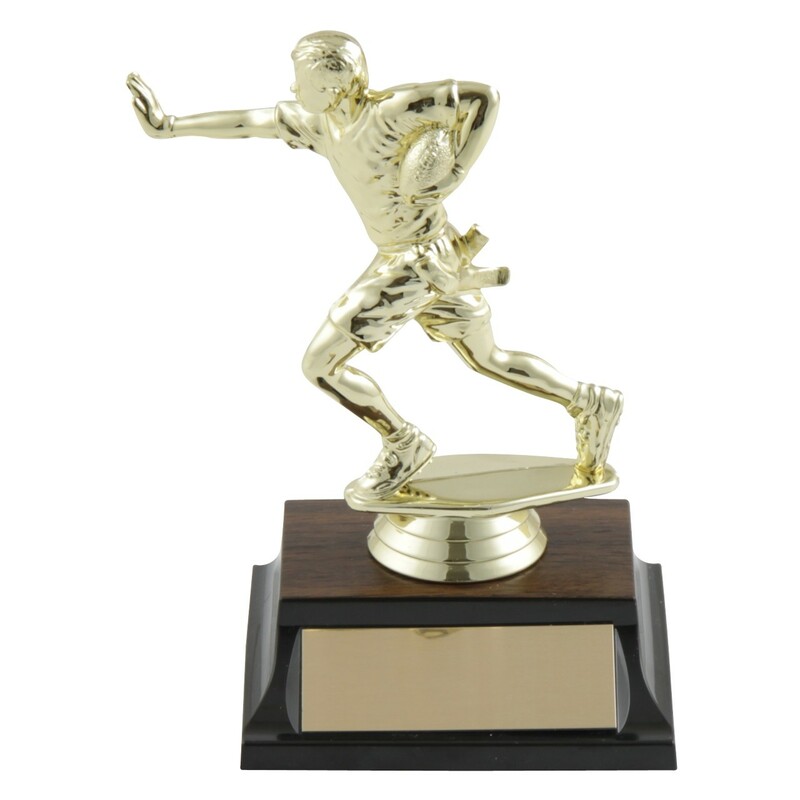 Recognize your team's efforts and hard work with this simple yet elegant trophy. This award features a gold flag football figure in an offensive pose on your choice of trophy base! 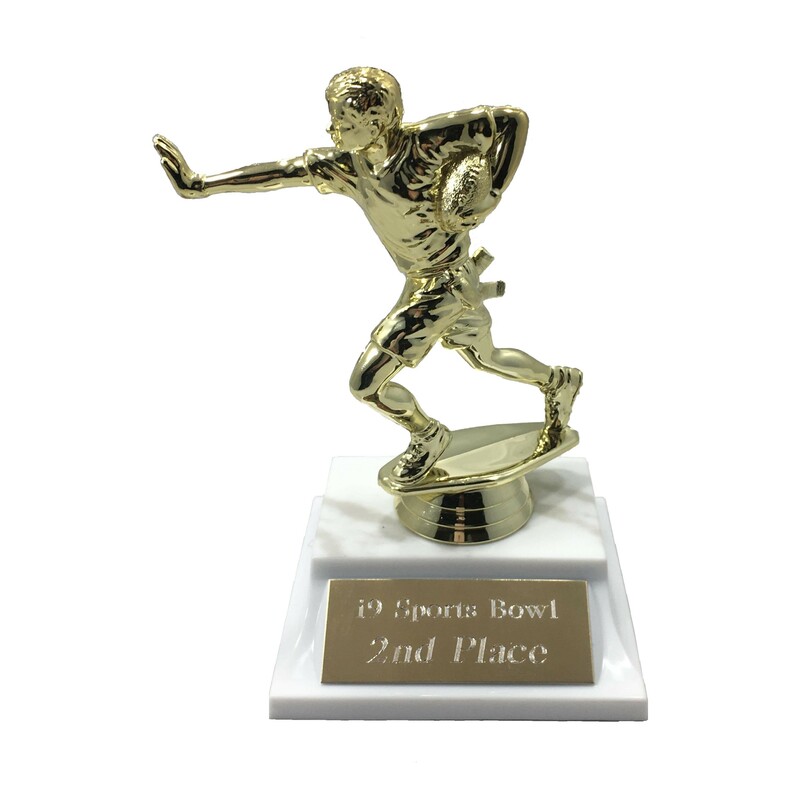 Give your entire team the Flag Football Participation Trophy today! 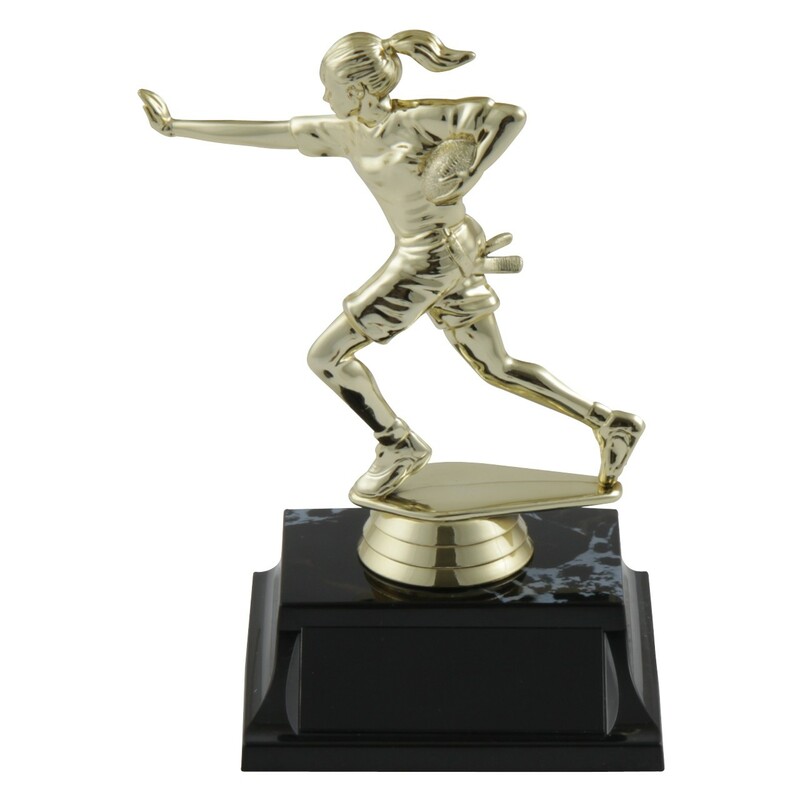 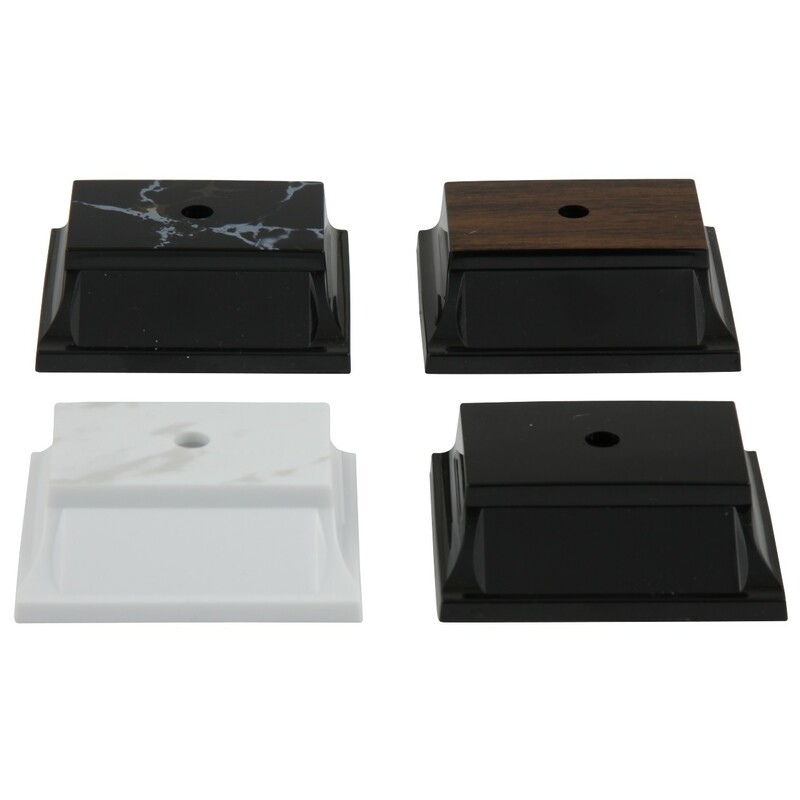 Choose male or female and provide up to three lines of engraving for free.